Here is a map contains territory of Kazakhstan. 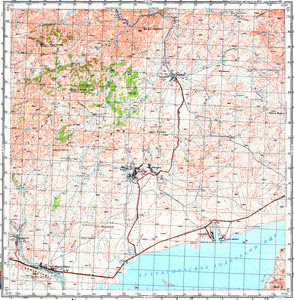 free map of Podgornoye calibrated download for free. detailed map of Palattsy download for free. topographic map of Mirolyubovka with gps calibration here. detailed map of Kyzyl presented. free map of Kaindy displayed. map of Kadyrbay free download. interesting map of Baty calibrated download for free. interesting map of Asha 1 cm to 1 km displayed.